Welcome to BjjBrick.com home of The BjjBrick Podcast. 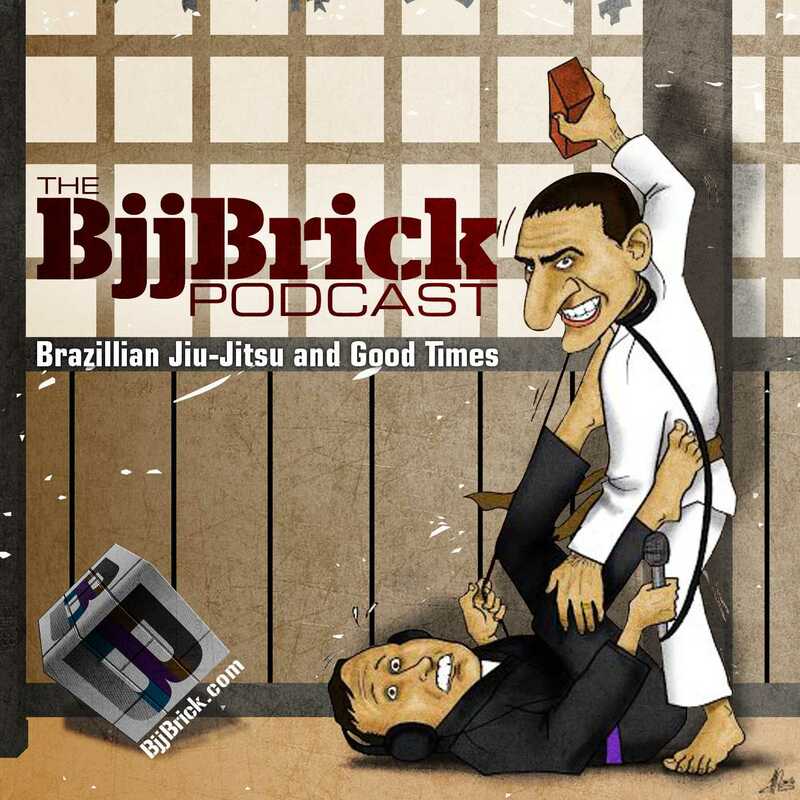 In this podcast we will be bringing you a weekly episode about Brazilian Jiu-Jitsu, and having “good times” while we do it. We hope to flatten your Jiu-Jitsu learning curve, help you get the most out of your grappling ability, and meet your goals both on and off the mat. BJJBrick – What is the Brick? Success in Brazilian Jiu-Jitsu(BJJ) starts with making a strong foundation. Think of the fundamental techniques and core philosophies that you fit into your BJJ game like bricks in your foundation. A BJJ Brick is something that will always be there for you, it is one of your solid moves. A BJJ Brick is core principal that you can rely on your entire journey. Learning hundreds of techniques does you no good if you execute them poorly, and do not understand them. These are not bricks in your foundation they are more like making a foundation of particleboard. Build your BJJ foundation with bricks, make it solid and strong. The bricks are not top secret moves or strategies. They are moves that your opponent probably knows and understands. Your opponent will not know that you have been drilling this technique so much your body can do it automatically without any thought. When attacked on or off the mat you want your opponent to run into a solid brick wall. The way to beat an opponent that is better than you is to hit them with one of your solid bricks. A technique that helps you defeat a person that you could not defeat previously is probably one of your bricks. A weak foundation made from particleboard will come apart when put under stress. Particleboard is made of little pieces of wood glued together. Each little piece of wood is like a technique that was never drilled, or a principal that was heard but not understood. Many people spend a lot of time adding little pieces of wood to their particleboard foundation. These people may know a lot about BJJ and a lot of techniques, but they are often overlooking the basics. If a technique only works on less skilled opponents, it is probably a little piece of wood in your foundation. It is good to learn new and advanced techniques, but it is your strong foundation made of bricks that will allow you to properly expand your game. With that being said, BjjBrick also has a nice collection of BJJ related humor. Awesome info and well written. Keep up the great stuff!